Your living room is normally a place where the family can relax, maybe watch TV, and just hang out. I know most people don’t have formal living rooms anymore, so these spaces are now multiple purpose rooms. In other words, it can often be a mismatch of furniture and styles. The good news is a few updates can make the space more cohesive. First things first. Choose a color scheme. It doesn’t matter what’s already in the room, you can almost always make things match your new color scheme. If you have a piece that you love, work with it. For example, if there’s a painting in the room that you love, pull colors from the painting. A good color scheme is a 60/30/10 ratio. This means that your primary color is 60%, your secondary color is 30%, and your accent color is 10-percent. This makes it so easy to decorate. Your wall color is the primary color, your accessories are the secondary color, and your accent color is used for tiny pops of color. Once you choose your color scheme, you can paint the room and paint any furniture that doesn’t match. Paint is one of the most inexpensive ways to update any room and any furniture or accessories. You’ll be amazed at how big of a difference paint can make. You can find slipcovers for almost every piece of upholstered furniture. This allows you take all those mismatched pieces of furniture and make them all cohesive. Best of all, you’ll be able to hide any stains. The best slipcovers are made with stretchy fabric. Not only do these slipcovers stay in place, but they look much better. While you’re in the process of updating the room, use bins and baskets to hide all the clutter. For example, if your family watches TV and plays video games in the room, use storage containers to hide all the accessories. This can greatly improve the look of your room! Beautiful curtains make a room. They add a soft and textural element. 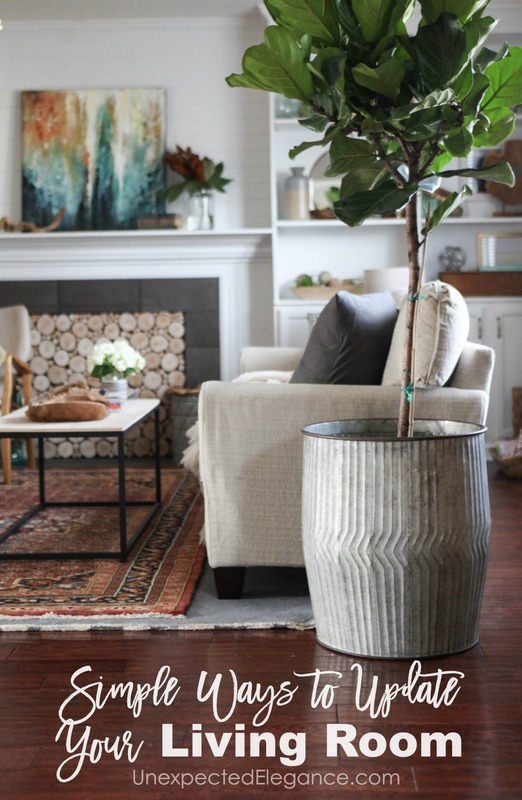 Most importantly, they add height to the space and fill it in…so you don’t need as much “stuff” to get a cozy feel. 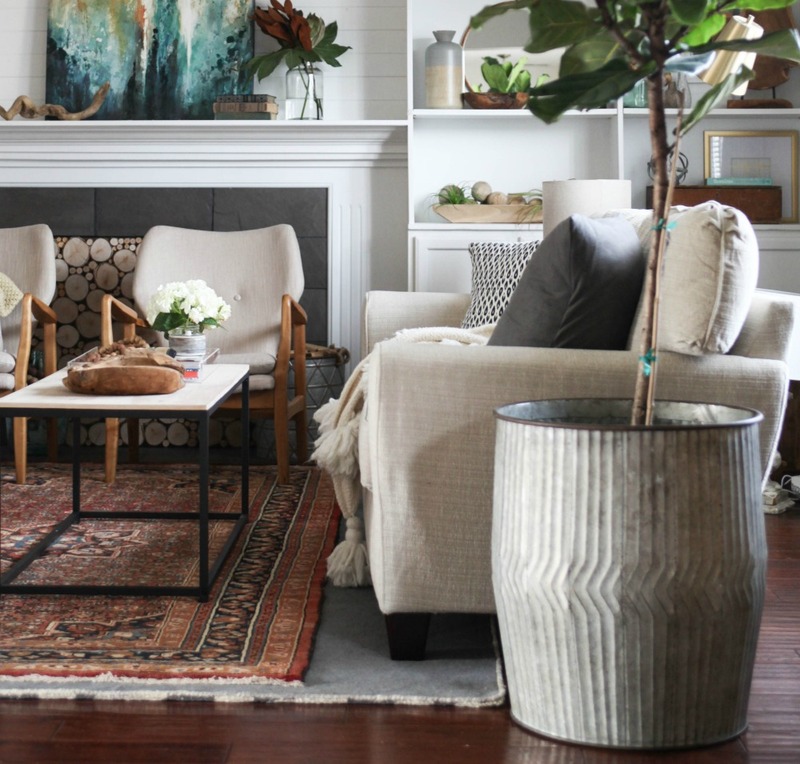 Your living room doesn’t have to be a mismatch of furniture. With a little money and elbow grease you can make the space work better for your family while still being beautiful.